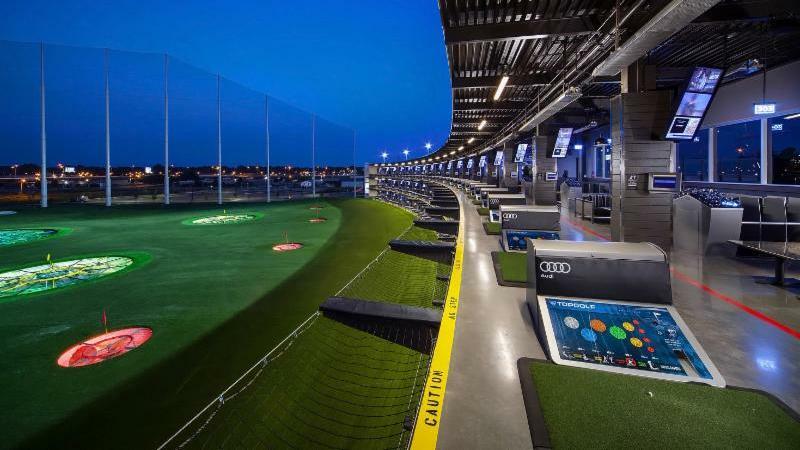 The latest facility in Mount Laurel, NJ represents the newest of the TopGolf facilities – and the Design/Builder, ARCO/Murray, knows that the success of a project lies in the details. For Wallworks this means working with the Team to meet expectations for quality construction and to achieve aggressive completion schedules. For ARCO/Murray, TopGolf is an important client – having constructed 13 facilities across the nation, the completion of each facility supports TopGolf’s mission to produce extraordinary sports and entertainment experiences. At TopGolf, this is achieved through innovation and working with the right construction partners to help deliver on their promise. 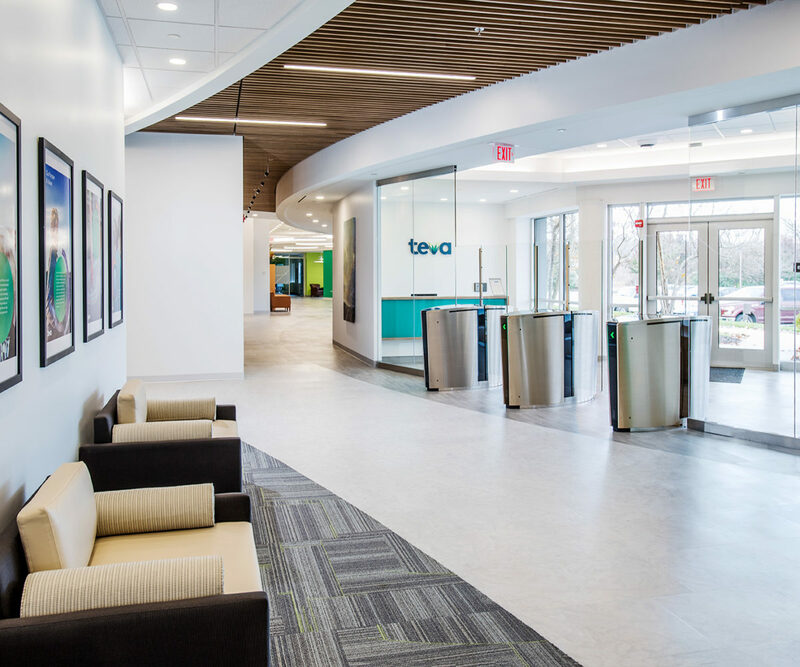 To allow interior work to proceed uninhibited by the severe weather, Wallworks was engaged by ARCO/Murray to construct a temporary enclosure around the entire building. The wood frame and reinforced plastic enclosure allowed work to proceed within a weather-tight and temperature-controlled temporary structure. .
An important part of Wallworks’ scope of work was the exterior radius walls that form the hitting bays and interior framing. To accommodate the aggressive schedule, Wallworks used a pre-fabrication process to complete this work. To address this, Wallworks engaged Radius Track to provide prefabricated, curved, cold-formed steel tracks. Shop drawings produced from the construction documents led to Radius Track producing pre-bent tracks off-site. “Each piece of track was individually numbered to match the location provided on the shop drawings”, says Rob. The prefabricated framing process is an economical, duplicate-able process that ensures geometrically-precise curved walls. For the Top-Golf project with stringent quality requirements, ensuring tight QA/QC is an important success factor for the Wallworks Team. For TopGolf’s newest entertainment venue, the project Design/Builder engaged Wallworks to help drive the schedule and ensure quality. The 65,000 sf venue is located on approximately 13 acres and features areas for fun and competitive golf games, climate-controlled playing “bays” similar to a bowling lane, 15,000 sf of bar and dining areas, HDTVs throughout, and private spaces for meetings and groups for up to 100 people. 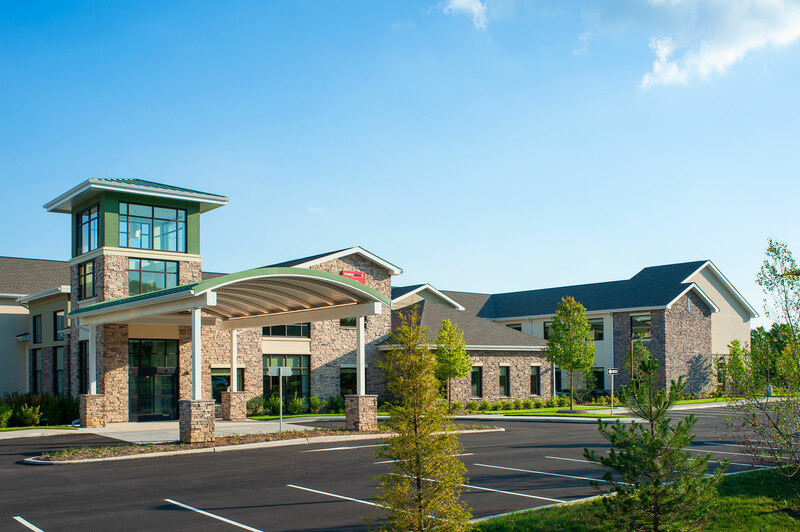 The facility includes a variety high-end finishes such as wood and aluminum ceilings, custom fixtures, stacked stone and roof trellises.